Are you looking for a fun and engaging speaker for your next conference, company meeting, or event? Are you looking to conduct on-site workshops? Joyce Weiss has given hundreds of presentations and workshops over the course of her 30+ year career that focus on cultivating respect in the workplace, engaging employees, and gaining more self-awareness so business professionals can be and do their best work! 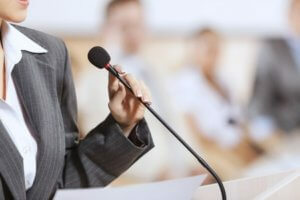 Joyce combines humor with a down-to-earth style of speaking supported with real life expertise to keep the audience engaged while ensuring they are gaining applicable lessons and knowledge. She encourages interaction and participation to help audience members learn how to reduce stress, renew office morale, and focus on company goals. Joyce will interview several key people from all levels of your organization in order to recommend a program that will impact the audience. Many of the ideas will be taken from Joyce’s 3 published projects; Communication Skills at Work, Full Speed Ahead: Become Driven by Change, and Take the Ride of Your Life! Shift Gears for More Balance, Growth, and Joy. Watch video testimonials from Joyce’s past presentations to hear what others had to say about her information-packed sessions! Below is a list of possible presentation topics. 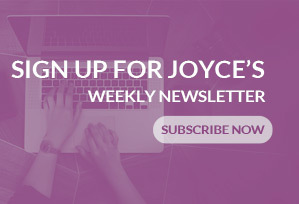 Joyce is always more than happy to customize a topic to fit your needs, so contact her today to discuss. Would you like to learn how to cultivate these skills in the comfort of your office or home in just minutes a day? 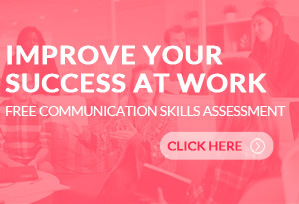 Learn more about my premier online program, Communication Skills at Work™, that will deliver all this information directly to your computer or mobile device. The Be Direct with Respect® is an innovative process of communicating for those who are used to holding things inside. Once you implement Be Direct with Respect®, you’ll find that being direct and truthful will make you self-confident, accountable, honest, and earn you the respect you deserve. 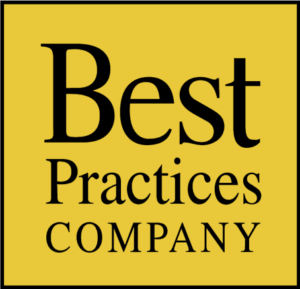 Even more important, as the concept of Be Direct with Respect® takes hold in your team, you will communicate better and build stronger relationships with co-workers and customers alike. Today, more than ever before, people need to lighten up and add more fun to their personal and professional life. Humor is a skill that participants can learn when they discover how to look for it. Gain insights and wisdom from life’s lessons. Finding work-life balance is a necessity, not a luxury! Live your life to the fullest, no matter what the terrain! If you remember the thrill of the wind in your face, here it is again in this fast paced, humorous, and important program. Give yourself the freedom to have fun. Joyce Weiss will take her audience on a journey to gain more control and have more fun at work and home. Discover the best practices that other companies use to help employees feel balance in their life. Participants will take a unique and fun “Bike Exercise” to discover their own stories on dealing with life’s challenges and successes. Be prepared to laugh, learn, and recharge! Find creativity and remember, there is a second right answer! Yes! Finding the perfect employee is one piece of the equation, while keeping and developing their skillset is an equally important part of building a strong workforce. This program digs deep into new ways of looking at how others are driven to do their personal best. Gaining buy-in from employees, and employee rewards and recognition are not a ‘one size fits all’ approach. You will walk away with new ideas and proven strategies to keep your talented team engaged so you can avoid the revolving door syndrome. Be prepared for a highly interactive, upbeat and energizing program. Career development is necessary to insure the growth of any organization. It is the responsibility of everyone to continuously become the best in his or her field. The rules have changed in today’s workplace. Productive employees need to continually invest in professional development in order to change the status quo – which is the kiss of death in any company. Competition is brutal. The new work reality is for everyone to manage his or her career. You are in charge of your performance and career development. Discover new ways of working with your supervisor to build cooperation and achieve success that benefits both of you. Joyce will also discuss the importance of finding a mentor and how to find one that is a fit for you. One of the biggest challenges is how to keep star employees feeling engaged at work. In today’s ever-changing workplace, team work is more than a nicety; it’s a necessity. Some team members may lack motivation, experience, or skills. This program brings everyone on board- even the non-engaged ones. By its very nature team work creates synergy. Unfortunately it won’t happen all by itself. Remove your team’s roadblocks so they can access their creative power. Learn how to excel through cooperation. Discover new ways to communicate with all generations in the workplace. 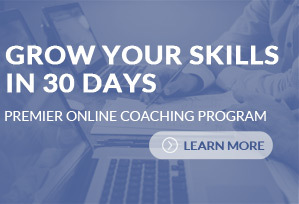 This program takes participants on a professional and personal development journey. Each person will take a short on-line assessment before the session. Joyce will bring the results so participants can learn about their strengths and areas of improvement for themselves and their team members. Individuals will participate in two group sessions. In the first, they will join people who share a similar conflict style so they can discuss the pros and cons. They will then be divided into teams with differing styles in order to discover how diversity enhances strong teams. This highly-interactive session will allow participants to take away invaluable, practical exercises to help them know themselves better, as well as give them the skills to work better with colleagues. Joyce loves connecting with people and sharing her expertise! Contact her today to discuss your keynote and workshop speaker needs!